A. Following the fire at Westhampnett Household Waste Recycling Site on 2nd April 2019, the Westhampnett HWRS will be closed until Thursday 18th April. Please note that from Thursday 18th April the Westhampnett HWRS will accept Green Waste only until further notice. All attempts will be made to offer further services as soon as safely possible. A. Bognor Regis Household Waste Recycling Site, Shripney Road, Bognor Regis, PO22 9SX. Littlehampton Household Waste Recycling Site, Mill Road, Littlehampton, BN17 7PH. A. HWRSs that accept asbestos are Burgess Hill, Crawley and Worthing. A. Bognor Regis and Littlehampton HWRS will be open 8:30am till 6pm Monday – Friday, 9am till 6pm on Saturday, Sunday and Bank Holidays until further notice. Normal restrictions apply: No commercial waste, all sites have a 3 tonne vehicle weight limit, vans, trailers and pick ups must have a permit. Construction and demolition waste limits still apply. Please visit https://www.westsussex.gov.uk/land-waste-and-housing/waste-and-recycling/van-pickup-and-trailer-waste-permit/ for further information on the permit scheme. o The site inspection reviewed the use of trailers on site given the restricted area available to manoeuvre them without impacting on other site services and customers…. …customers tend to un-hitch the trailer and manually manoeuvre into a parking bay and then park in the adjacent bay, at busy times this can draw complaints from other site users… ….staff stated that not many customers that come to the site can safely manoeuvre a trailer in the restricted space available. A. There’s no evidence to show that West Sussex residents will resort to fly-tipping – which is a criminal offence and blights local areas – if they cannot use a recycling centre for whatever reason. People who are prepared to travel to a recycling centre are unlikely to even consider fly-tipping, let alone do it. We will work closely with the District Councils to ensure any incidents of fly-tipping are promptly reported, cleared and investigated fully. ‘Flourish in Fittleworth’ – thank you all – it was a friendly, interesting event! On Wed 20th February most of Fittleworth had no electricity due to a new transformer being installed in School Lane. The outage was much more widespread than expected and although all residents were meant to have been informed in advance by SSE, not all had been. The outage also lasted longer than expected, when it was dark. If you were not expecting to lose your electricity for the day (which turned out to be from about 10.00a.m. to about 7.00p.m.) you are advised to phone 105 for their Customer Service dept. 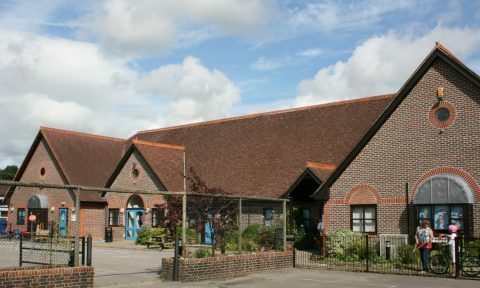 Congratulations to all the staff and children at Fittleworth School on your ‘GOOD’ Ofsted rating! Not only is our village school a happy, hard working community, as well as receiving a ‘Good’ OFSTED report recently, the school received a letter from the Secretary of State & the Minister of State from the Departments of Education & School Standards congratulating Mrs Burnett, her staff and the pupils for their very high standard of achievement whereby 100% of pupils reached or exceeded their expected standards in reading at the end of Key Stage 2. This means for achievement in reading, Fittleworth School is in the top 1% of Primary Schools in England. Congratulations too to Mrs Burnett on her appointment as permanent Head of the school.